The world is always changing. As time goes on, as technology improves, advancements are made that transforms industries in both small and significant ways. Rail transport is no different and we can certainly expect some interesting and exciting developments in the years ahead. There are some truly imaginative ideas out there and some very real propositions that will have a serious impact on the way we get from A to B, and, as a result, likely change the nature of certain jobs in the rail industry. To let you know what might be coming next, we’ve put together this guide to predicting the next 40 years in rail transport, highlighting some of the most interesting developments that you can look forward to seeing in the decades ahead. While driverless trains are already in operation, often seen on low-speed infrastructures – such as the DLR service in the United Kingdom – their introduction on to mainline railways has not yet occurred in any significant fashion, with the first automated UK line only beginning in March 2018. The ubiquity of driverless trains is something that is a pretty safe bet in the upcoming years and passengers can certainly expect to see these automatic lines becoming commonplace. Driverless trains may not have a person at the helm but they are equipped with the latest safety systems and sensors, with the train’s speed controlled by an onboard computer which is constantly monitored. Hydrogen trains are certainly the way of the future. These trains are free of CO2 emissions, which of course, will make them very popular to implement as an environmentally-friendly option. How do they work? Well, the vehicles convert hydrogen to mechanical energy by burning it in an internal combustion engine or via what is known as a fuel cell. Hydrogen trains are currently being tested in countries like Germany with interest in the technology also coming from other European nations. Alstom, a French train manufacturer, is looking to bring hydrogen trains to the UK by converting an existing fleet. This comes in response the British Government calling for a removal of all diesel stock by 2040. Expect to see a lot from hydrogen trains in the coming years. One of the most futuristic and exciting prospects that will surely take off in the next three or four decades are Maglev trains (derived from magnetic levitation) which sees the train use two sets of magnets to elevate the vessel up off the track, causing it to levitate. Maglev trains have been in operation for some time but due to the tech not being quite ready, they have yet to take off in countries like the UK. 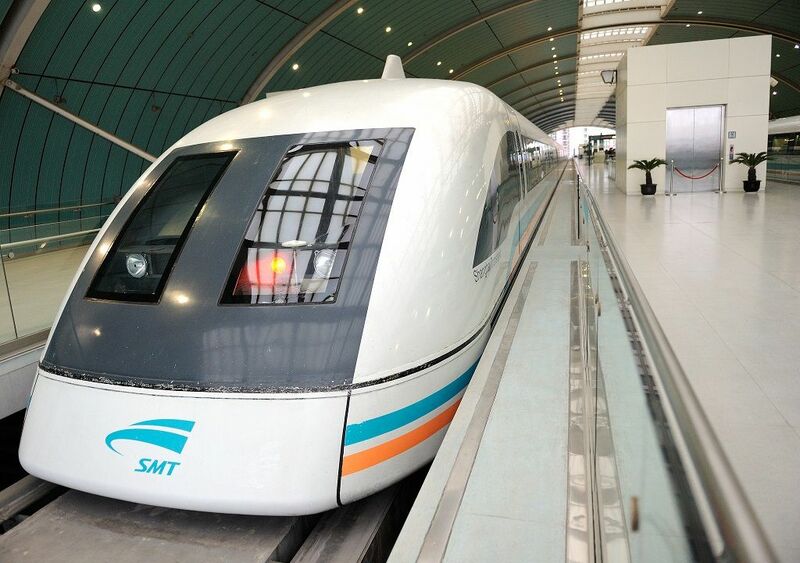 Other nations have run with the idea, however, with the Shanghai Maglev capable of lightning speeds up to 430km/h. Japan is looking to launch its commercial Maglev line in 2027. With the incredible speeds these trains are capable of, it won’t be surprising to see them more widely adopted once important issues like comfort and safety are better addressed. Rail transport isn’t all about ferrying human passengers to their desired destination of course, the transportation of cargo is vitally important and there are some exciting developments in this department on the horizon. Underground cargo transport is a tremendously useful alternative to above ground freight routes, as the latter can lead to not only congestion on the roads but pollution too – both elements that are particularly important to consider in cities. CargoCap is a solution being talked about, branding itself as a transportation alternative to road, rail, air, and water, with goods moving quickly and economically via underground transportation pipelines. You can see how such a vessel will be tremendously appealing to locations worried about issues like traffic congestion. Hyperloop has been the talk of the transportation community for some time, with Elon Musk’s open source technology now in the hands of various different companies around the world who are working to implement their different iterations. 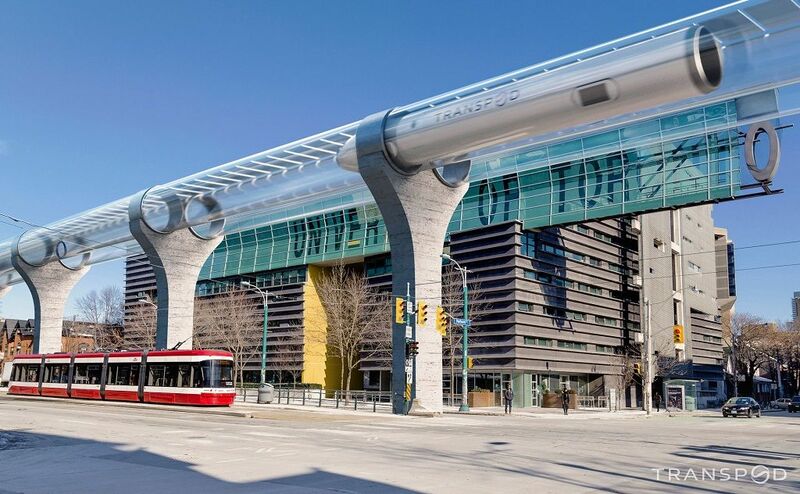 This ultra-fast, city to city transport system has the potential to truly revolutionise public transport. Hyperloop is essentially an elevated steel tube containing aluminium capsules to transport passengers at speeds climbing to 760mph – powered by solar energy. 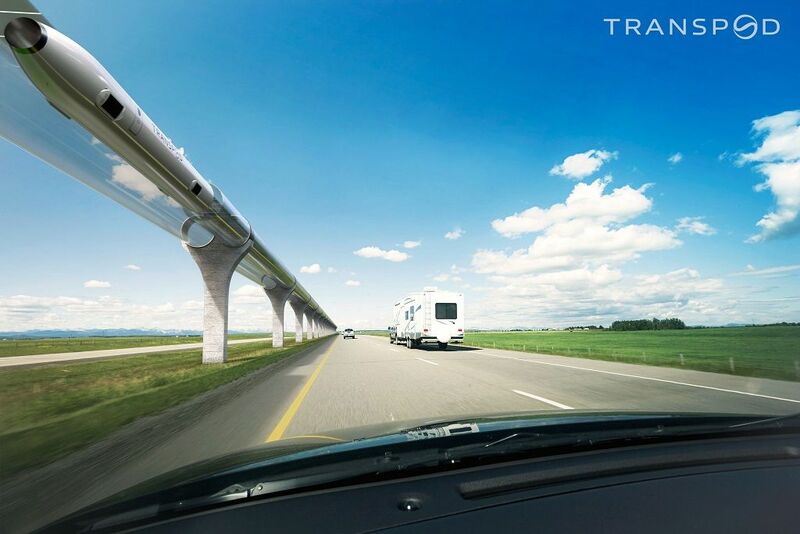 Hyperloop technology is hugely expensive but with companies like TransPod who are looking to develop their version of the ultra-fast sustainable transport method, Hyperloop will surely become a huge game changer in the very near future. “Time is increasingly becoming a scarce resource, and one of the main goals of achieving faster and more efficient transport is to give people back their time. At the same time, it enables us to virtually shrink distances and connect territories, thereby developing and improving economic activity by opening up rural areas and increasing access to work. Efficient transportation allows a more fluid circulation of people and ideas while also improving quality of life by minimizing commutes to work and enabling more efficient social relations and time for recreation. “The TransPod system competes with short and medium-haul aircraft. For a Canadian example, it takes 1.5 hours to go from the major cities of Toronto to Montreal by TransPod, five hours by car, and five and a half hours by train (door to door). Long-haul flights, on the other hand, will always be necessary to cover great distances and cross oceans. Similarly, we intend to compete with the diesel train as the benefits are demonstrated through transportation time, respect for the environment, and to lead the way to the transport of goods. Mr Gendron also talked to us about TransPod itself and how this exciting technology works: “TransPod technology is based on the following fundamentals: two low-pressure tubes (100 Pa) on pylons; centralized autopilot where all the capsules run at the same speed; blind capsules carrying 20 to 40 passengers (or a few tens of tons of goods) with projection of a reconstituted reality in screen windows; frequency of one capsule every 30 to 80 seconds; turnouts with launching ramps; complex stations to allow frequent departures. “The TransPod vehicle is built like an airline jet fuselage, containing rows of seats inside. Passengers board from platforms at each station. 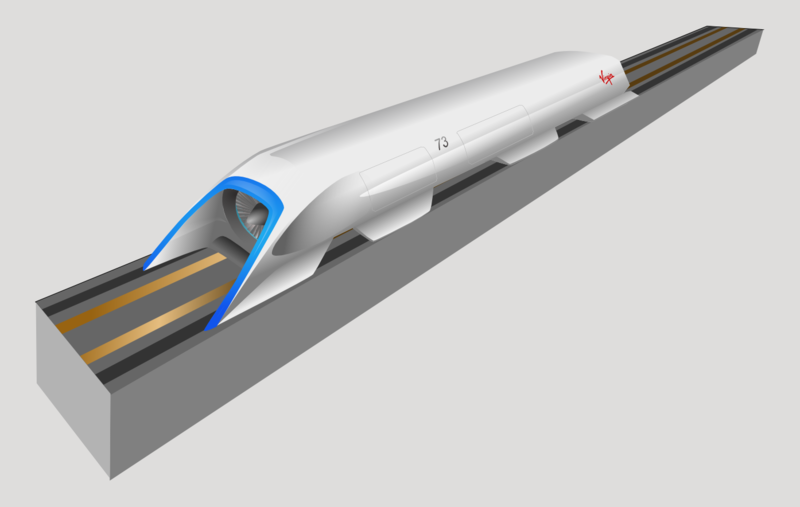 Powered by electrically driven magnetic propulsion, the vehicle departs, gently accelerates to full speed of up to 1,220 km/h inside the TransPod tube infrastructure, and decelerates on approach to the final destination station. As you can see from the above, the future is quite exciting indeed and the way in which we travel is surely going to undergo some interesting changes. The future is always in flux of course, nothing is ever concrete, but if current trends stay true and the tests currently underway are successful, we can certainly expect to see some of the above predictions manifesting themselves in the next 40 years.